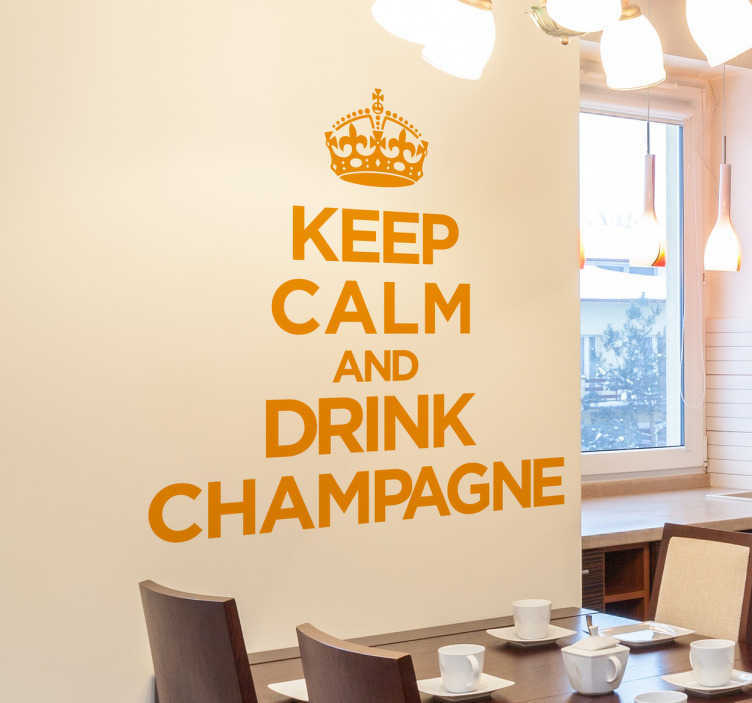 Keep calm and drink the champagne. Champagne is the answer to all problems. Whenever you face a difficult situation, just refer back to this sticker. The adhesive film is suitable for the bedroom/office or over your couch in the living room. Like all our stickers, this design is available in many different sizes and colours.